A helpful discourse on singing. 1. Have grace in the heart. When the apostle directs us to sing “psalms, hymns and spiritual songs with grace in our hearts unto the Lord” (Col. 3:16), he necessarily presupposes the having of grace in our hearts. For how can grace be actually used unless it be first habitually had? Grace is so necessary to the well performing of every holy duty, both for the qualifying of the person (Titus 1:15-16; Hag. 2:11-14; Gen. 4:4-5; Jam. 5:16), and for the original of the action (1 Tim. 1:5), that without it nothing can be acceptable to God. God first has respect to our persons and the ground or rise of our actions, and then to our actions and performances. A graceless man can never make melody to the Lord in singing psalms, nor please God in any other performance. “None could learn that song…” (which is put for all God’s pure Christian worship) “…but the 144,000 redeemed from the earth.” “None can praise the Lord but the upright,” (Heb. 11:6; Rev. 14:2; Ps. 33:1). 2. Sing with the Spirit:with the assistance, guidance, and active furtherance of the Holy Spirit of God. As the Corinthians were directed in their extraordinary singing “to sing with the Spirit,” (1 Cor. 14:15-16) namely, with that extraordinary gift of the Spirit which they then had; so we in our ordinary singing answerably should sing with the ordinary assistance of the Spirit of God. For as in praying, so in singing (much of which is prayer) “the Spirit helps our infirmities with groans that cannot be uttered (Rom. 8:26-27). And “be filled with the Spirit” (Eph. 5:18-19) that you may be filled with joy and enlargement in singing. (iv) Peruse this exposition first [Francis Roberts’ Key of the Bible, 1675]. 4. Sing with the heart and inward affections, “making melody with grace there to the Lord” (Eph. 5:19; Col. 3:16), as well as with the voice making melody to the outward ear. The apostle insists in a special manner upon this direction. (2) It must be also with grace in the heart. So the apostle directs: “Singing with grace in your hearts to the Lord.” (Col. 3:16) Grace must not only be in the heart of the acceptable singer, but must also be acted and exercised in the heart in all acceptable singing. Grace in the heart is the best key or musical tune to any scripture psalm, hymn or spiritual song, without which inward melody all vocal music, though never so sweet and harmonious, is but mere discord, jarring, and empty howling in the ears of the Lord. The heart and affections should “be filled with the Spirit,” (Eph. 5:19) should have a lively tincture of grace, heavenliness and Spiritualness upon them, should be as it were spiritually touched with the matter sung, as the needle is touched with a loadstone and moves accordingly. Then the heart will sing with spiritual raptures, elevations and raised meditations indeed. Therefore when you go to sing, say, “awake up my heart, awake up my grace, my faith, love, joy, zeal, etc.” as David said, “Awake up my glory… I myself will awake right early,” (Ps. 57:8,9) when he was singing. 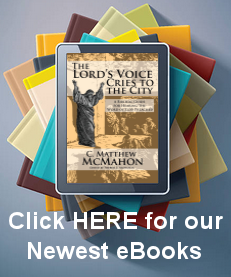 The voice of active grace in singing is most sweet, most melodious to the heart searching God. 5. Sing with prudent accommodation, or suiting of the psalm to the present condition of the singers, to the present ordinances, worship of God, or to the present works or providence of God so much as may be. As Solomon said of a word fitly spoken (Hebrew: “spoken upon his wheels”), “it is like apples of gold in pictures of silver.” (Prov. 25:11) So may I say of psalms fitly selected and accommodated to present purposes, they are set and sung upon their wheels, and are like apples of gold, etc. This accommodating, fitting, or suiting of scripture psalms to several purposes requires a good measure of skill and care herein. The minister is to do it in church assemblies, the master of the family in his private family and every Christian for himself in private when he is disposed to sing psalms. (1) Suit and accommodate psalms to your and others’ present condition. In the case of temptations upon view of wicked men’s prosperity and godly men’s adversity, sing Psalm 37 and 73. In desertions, sing Psalm 22, 77 and 88. In exile from God’s public ordinances, sing Psalm 42, 63 and 84. In deep straits and afflictions, sing Psalm 3, 4, 34 and 142. In sad discomforts and dejections of soul, sing Psalm 94 and 102. In case of repentings for sins and lapses, sing Psalm 6, 25, 38, 51 and 104. In deliverance from great straits and desperate extremities, sing Psalm 30, 34, 18, 116, etc. (2) Suit psalms to the present ordinances and worship of God in hand. On Sabbath days, sing Psalm 92, 95, 8, 84, 42, 104. After the administration of the Lord’s Supper, sing Psalm 22, 28, 103, 118, or some psalm of the Great Hallelujah between Psalm 111 or 112 and Psalm 119, which is most probable Christ and His apostles sang after the institution of the Lord’s Supper, as hereafter is shown in the explication of Ps. 111 [in Roberts’ Key of the Bible]. Before or after a sermon of the happiness of the godly and wretchedness of the wicked, sing Psalm 1, 37, and 119. After or before a funeral sermon, sing part of Psalm 2, 39, 90, 103, or 49. Before or after the handling of Christ’s kingly office, sing Psalm 2, 45, 110, 96, 97, 98, 99. Of His priestly office, sing Psalm 110. Of His prophetic office, sing Psalm 40, etc. (3) Suit psalms to the present works and providences of God, public or private. As in days of public mortality, etc., sing Psalm 90. In days of famine, sing Psalm 23, 34. In time of public and eminent dangers: Psalm 68. In time of victory over enemies, sing Ex. 15, Judg. 5, Psalm 18, 124. In time of public desolations on the church of God, etc., sing Psalm 44, 74, 79, 80, 83. When God’s public ordinances and pure worship fail, etc., sing Psalm 42, 63, 84. In time of God’s observable judgments upon the ungodly, etc., sing Psalm 9, 105, 106, 136. In time of eminent mercies by sea and land, sing Psalm 107, 115, 116, 118. 6. Sing with holy and heavenly meditation upon the subject matters sung. One eminent use and advantage of singing is to dilate and draw out the voice the more leisurely and deliberately, that so the thoughts may have the more time to act and expatiate in meditating on what is sung. Hence the psalmist resolves to sing and to meditate on God in singing, and that such his “meditation should be sweet,” (Ps. 104:33-34). Singing raises the heart, meditation fixes the heart; how sweet is it when both do meet together! But still be careful that your meditation in singing be (i) Devout, (ii) Speedy and (iii) Pertinent. (i) Devout, full of spiritualness and holiness, tending to elevate the heart and affections, and to awaken and actuate all your graces. (ii) Speedy, no longer than the singing of the sentence will bear, otherwise it may prove a distraction (1 Cor. 7:35). (iii) Pertinent to the matter sung, and not diverting from it. Distraction and a dream comes by suffering the thoughts to wander. As the jarring string mars the outward music so the impertinent thoughts spoil the inward “melody,” (Eph. 5:19). When therefore you sing, let your thoughts and meditations keep close to the matter. When you sing doctrines, think how they teach you and others the truths of God. When you sing prophecies, think how exactly they have been fulfilled or shall be accomplished hereafter. When you sing admonitions against any sin, think how may this shame me and others for like offences, or what a mercy it is to me that I am kept from these iniquities. When you sing exhortations, think how dull am I and need quickening. When you sing histories, think of God’s wonderful patience, providence, goodness, mercy, justice, etc., of old. When you sing of the faith, integrity, love, zeal, repentance, obedience, etc., of others, think “O that I had such lively graces! O that my graces were so lively and active!” When you sing of others’ sins, think “Did David thus lament his sins? How then should I lament mine?” Did such persons so offend, whither should I have fallen, had not the Lord wonderfully preserved me? When you sing of threats, curses, judgments, etc., think of your mercy that has escaped them, of others’ miseries that have felt them, of sin’s mischief that deserves them, and of God’s justice and severity that pronounces and inflicts them, etc. But still keep close to the subject matter in hand. 7. Sing with impartial application of all things applicable to yourself. So sing as to, in others’ sins, read, remember, and aggravate your own. In others’ temptations learn how to manage your own. In others’ graces see how to try and discover your own. In other’s duties learn how to provoke and manage your own. In others’ mercies and thankfulness, consider how to render for your own, etc. Thus in all things have a special reflection upon yourself, as once the apostle in another case said, “Lord, is it I? Master, is it I?” (Mt. 26:22,25). (1) To teach and instruct ourselves and one another by singing (Eph. 5:19; Col. 3:16). Some of the psalms are in the Hebrew entitled Maschil, that is, ‘an instruction’, or ‘an instructing psalm’. Such is the nature and use of it. There are in all thirteen Maschils (Psalm 32, 42, 44, 45, 46, 52, 53, 54, 55, 74, 78, 88, 89, 142): all of them affording excellent doctrines and instructions. Again, many of the psalms are doctrinal, namely, that in whole or in part teach some choice doctrines. Thus Psalm 1 teaches that the godly man is the happy man; the wicked man is the wretched man. Psalm 19 teaches that the Book of Nature does very notably set forth God’s glory, but the Book of Scripture far transcends herein. Psalm 34 teaches the singular and most vigilant Providence which God hath over his people that fear Him, especially in the time of their troubles and distresses. Psalm 91 teaches the impregnable safety and security of all them that trust in God, under the wing of the Almighty, etc. Thus other doctrinal psalms have their particular doctrines whereby we may in singing particularly teach ourselves and others by serious meditating thereon. (i) To endeavor after the like spiritual frame of heart in singing, as the holy psalmists had in penning them. (ii) What sweet harmony and unity there should be among the saints, singing all at once as with one heart and voice, as jointly concerned and sharing in the same joys. The same sorrows, the same privileges, the same duties, etc. An admirable emblem of Heaven itself. (iii) How sweetly and cheerfully they should walk and act together. (iv) To have comfortable and thankful frames of spirit in all variety and contrariety of conditions, as once Job had (Job 1:21), and Paul and Silas had, that could sing psalms in the inner prison at midnight, in the stocks (Acts 16:24,25); things most deplorable as well as most comfortable, being the matter of scripture-songs, etc. And it’s not impossible that a good Christian may in some sense rejoice in the Lord evermore (1 Thess. 5:16; Phil. 4:4). (i) Admonishing and warning against sin, in whole or in part, as Psalm 4:2,3,4; Psalm 10, 14, 50, 52, 53, 58, and 82. (ii) Exhorting and inciting unto virtue and duty, as all such psalms in whole or in part are hortatory as Psalm 2:10, exhorting all kings and judges to submit to and serve, etc. the Lord Christ. Psalm 37 exhorts to confidence in God and patient waiting upon Him, notwithstanding all various dispensations of the Lord towards the godly and the wicked. Psalm 92 and 95 exhorts how to praise and glorify God on the Sabbath Day, how to sing psalms to Him, worship Him, and hearken to His voice in His Word. Psalm 96, 98, 99, 100, with many others, exhort to praise God. Now when we sing such monitory psalms together (which are accordingly to be sung as occasion shall require) we in a notable manner admonish one another, both against sin, to eschew [avoid or shun] it, and unto duty, to pursue it, according to the matter of such psalms. Thus Julian the Apostate took himself to he admonished and reproved when the Christians in his hearing sung the 97th and 115th Psalms, declaring the vanity of idols and confusion of such as worship them, as it is recorded by Socrates, Theodoret and Nicephorus in their ecclesiastical histories. (3) To the acting and exercising of the Spirit of God in us, in and by such spiritual melody. The Spirit of God, filling the heart of a Christian, delights to exert and put forth Himself in singing of Psalms: “But be ye filled with the Spirit, speaking to yourselves in psalms, hymns and spiritual songs…” (Eph. 5:18,19). Sing psalms therefore, thereby to express and exercise the Spirit of God in you: yes, to cherish and increase the Spirit of God in you. For, as some think (Peter Bayne on Eph. 5:19 and Jerome Zanchius in his commentary on Eph. 5:18,19), the exercise of the psalms is a means of increasing in us the Spirit. If we be joyful they increase joy: “Is any merry? Let him sing Psalms.” (Jam. 5:13) If heavy, they refresh us. Paul and Silas sung a psalm at midnight. The fullness of the Spirit in that excellent man David went with this help, as we may gather from 2 Sam. 23:1-2, “And the sweet Psalmist of Israel, said, The Spirit of the Lord spake by me…” As the Devil’s song is of great force to fill with wickedness, wantonness, etc., so God’s song is of great force to make us be filled with His good Spirit. It comes from the Spirit and makes the Spirit take increase in us. The tree of grace takes increase by the fruit it bears, so he. (vi) when we sing Psalm 33, 34, 47, 95, 96, etc. to express our joy and thankfulness to God for His excellent perfections and gracious dispensations. (5) To extol and praise the Lord with joy and gladness. The LORD is the principal object to whom we are to direct our psalm-worship: “singing and making melody in your hearts to the Lord” (Eph. 5:19); “singing with grace in your heart unto the Lord,” (Col. 3:16). Him we are to exalt, bless, magnify, etc. and this with joy and gladness. In the Old Testament this was required: “ye shall rejoice before the Lord…” (Deut. 12:12 and 14:26); “serve the Lord with fear, and rejoice with trembling,” (Ps. 2:11); “glory ye in His holy name; let the heart of them rejoice that seek the LORD,” (Ps. 105:3); and the “not serving of the LORD with joy and gladness of heart for the abundance of all things” (Deut. 28:45-47, etc.) is severely threatened. In the New Testament we are also directed “to rejoice evermore,” “to rejoice in the Lord always, and again to rejoice,” (1 Thess. 5:16; Phil. 4:4). Now how can we better express this our spiritual joy and gladness in the Lord and in His praises than by singing of the psalms contained in this [in Hebrew] Sepher Tehillim, this “Book of Praises”? (7) Finally, sing psalms to obviate, prevent, and keep out all carnal, drunken, sensual, worldly, wicked mirth (Eph. 5:18,19).